Michigan heirloom seeds are now available at the East Lansing Public Library! Choose from a selection of vegetable, herb and flower seeds to take home, plant, grow and enjoy. Visitors to the library may check out five packets of seeds per season. A limit of five packets has been set to make sure that as many community members as possible have access to the collection. A variety of vegetable, herb and bee-friendly flower seeds are available. All seeds in the collection are heirloom varieties and sustainably sourced. Heirloom seeds are open-pollinated, meaning that they rely on natural forms of pollination from insects, such as bees, or the wind. Heirloom varieties of vegetables are often preferred to hybrid varieties due to their exceptional taste, nutritional value, and their ability to avoid diseases and infestations. The Michigan heirloom seeds in the ELPL Seed Library have been harvested locally from the most successful, best-tasting varieties for generations. The seeds we offer may also be harvested at the end of the growing season and replanted next season. Why Does ELPL Have a Seed Library? 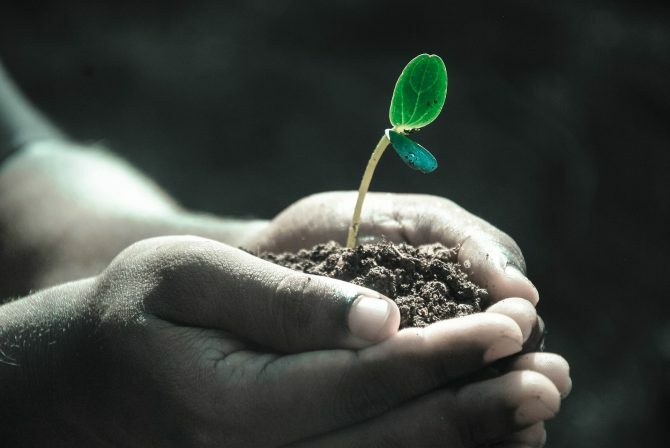 The purpose of the ELPL Seed Library is to inspire community members to grow their own food, create opportunities for gardeners to grow more varieties of plants in their garden, and to reconnect our community with the traditions of planting and harvesting.